Extron Electronics has developed Vector 4K, the latest generation of Extron scaling engines specifically engineered for 4K signal processing and applications. 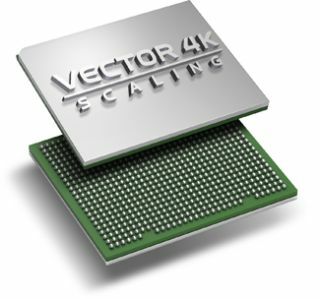 The Vector 4K scaling engine delivers the power and precision required to manage the high pixel counts of today's 4K displays and content, according to the company, whether providing clean, upscaled images when integrating legacy sources with 4K displays, or rendering a source's detail and integrity when downscaling 4K content to HD displays. "Delivering the best customer support always begins with having the right products for our customers, engineered by Extron from the ground up to meet our standards for the best possible quality and performance," said Andrew Edwards, president at Extron. "Our no-compromise approach to engineering extends to the scaling engines and video processing algorithms we've developed over the years leading up to Vector 4K, which delivers the highest level of image quality for 4K applications." Vector 4K was developed internally by Extron's team of signal processing engineers, who have created patented image processing technologies for visual performance. Features such as bicubic scaling, 30-bit color depth, and 4:4:4 chroma sampling ensure image quality while preserving detail present in the original source material. With scaling technology developed in-house, Extron can design to exacting specifications and control the end product. Vector 4K features the ability to manually adjust image parameters with fine precision. Additionally, scalers and video processors with Vector 4K scaling include a variety of user-friendly features, such as EDID and HDCP management, that streamline integration and optimize system performance. Vector 4K scaling technology is available in the Extron DTP CrossPoint 4K series of scaling presentation matrix switchers, as well as the Extron XTP SFR HD 4K fiber optic scaling receiver.